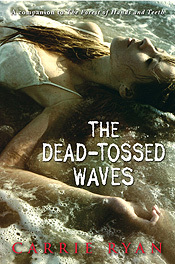 This giveaway is being done by Heidi R Kling, author of upcoming debut Sea . Check it out! Sea launches in approximately 9 (ish) weeks and I'm giving a way a BOOK A WEEK UNTIL THEN. AND SO MANY MORE IT'S NOT EVEN FUNNY. Also, check out our book giveaway of The Iron King by Julie Kagawa.